Youth Action Wiltshire, part of Community First, has been awarded a grant by The Andrew Lloyd Webber Foundation to fund a music project over 2 years involving Wiltshire young carers, schools and music groups. 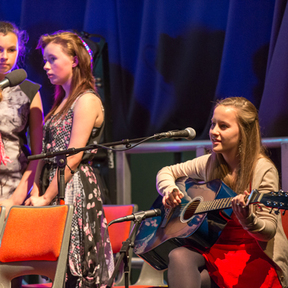 The "Listen to Us" project will offer workshops leading to performances and regular music groups for young carers who wish to continue their involvement with making music. www.youthactionwiltshire.org Click here to read the press release.